One of the problems(and this is a rather unfair criticism on my part) is that I've already seen 1995's "Ghost in the Shell". Mamoru Oshii took the wedding motif from "Mona" and did it, just, so much better. Nothing wrong with stealing an idea in art if you're going to refine it, but it made the climax of MLOD ring a bit hollow in my jaded mind. Another problem, in my humble opinion, is that "Mona" is so familiar. It's too involved in revisiting old characters to properly develop the new ones. Usually, Gibson's flawed narrators/characters are so interesting and so relatable. My feeling with "Mona" was he doesn't really focus on any of them long enough to develop them sufficiently, or at least, not in the eyes of the reader. 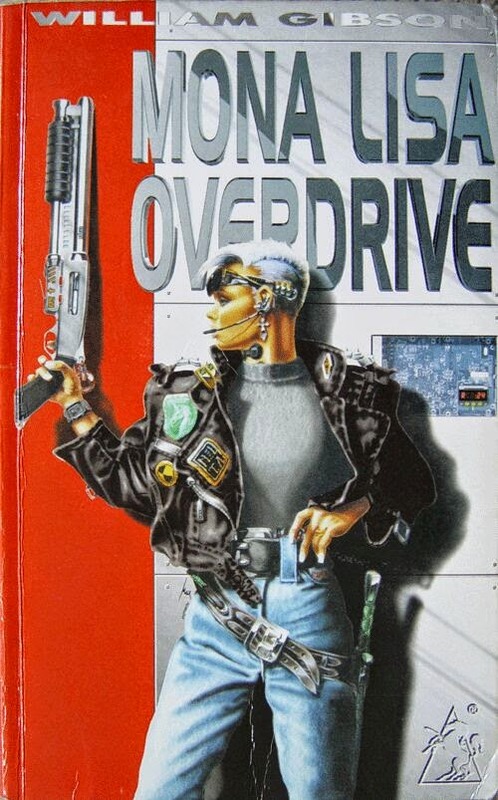 Neuromancer had one narrator telling the story in a single thread, Count Zero had 3 narrators/threads, and Mona Lisa has 4. In addition, Mona Lisa keeps throwing in cameos by protagonists and major characters from previous books, which I found distracting. Instead of focusing on a pathetic protagonist taking on powers beyond his ability, we're left with a stew of characters we're rooting for and I found it just overwhelming. Admittedly, Tad Williams managed to pull off this sort of many-relatable narrators dynamic in "City of Golden Shadow", but it took him 900 pages and he still didn't manage to wrap up the plot in the end. One other point about the ending reveal--it was too similar to Neuromancer's ending. Now, you could argue that this allows the series to conclude by "coming full circle", but I much prefer a mind-blowing ending, as with the previous two books, to this familiar one. That said, the book is full of good stuff, and part of that is his exploration of Art. A good part of this takes place in the Slick Henry and Angela Mitchel plot lines.